At FairLifts, we provide expertise, advice, and full-service helicopter lift booking services. We aim to get you the helicopter you need as fast as possible with little to no hassle. Our network of professional partners located throughout the United States and beyond provide helicopter lifts of all types and capabilities. Helicopters are often the most efficient, effective tool for any job because they are so versatile, can takeoff and land almost anywhere and can hover in place, making them ideal solutions for jobs across multiple industries. If you require a helicopter lift for any job from construction, agriculture, utility inspection to emergency services, FairLifts can get you what you need quickly and affordably. 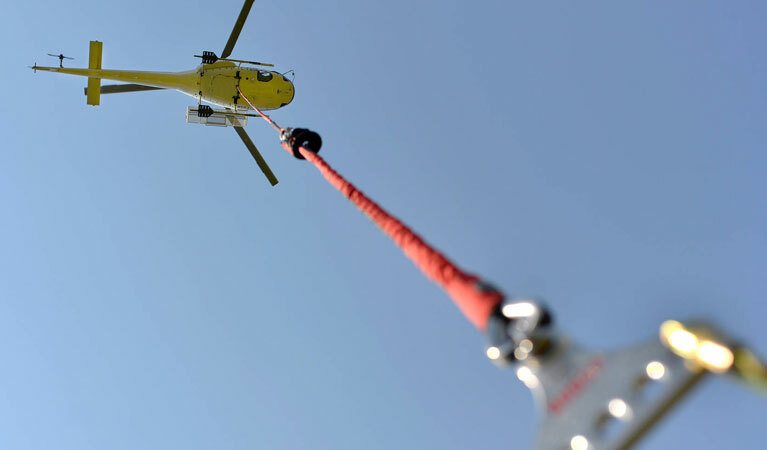 Helicopter Lifts: Expert Answers, Advice, Quotes and Bookings. Emerald Coast and Panama City residents know firsthand the value of helicopter lift services as these versatile machines are vital in hurricane response efforts, from damage assessment, to supply drops to rescue missions. Helicopter lifts even play major roles in restoring electrical grids, helping clear vital roadways and getting the region on its feet again. But helicopter lifts provide other key services throughout the region, helping farmers more efficiently tend to and treat their valuable crops, assisting on search and rescue missions in the Gulf and beyond, delivering key cargo or medical supplies, and helping assist the construction industry as aerial cranes when traditional ones are not possible, practical or affordable. Safe, Efficient, Effective Helicopter Lift Services for Any Job at Your Fingertips. Helicopters are not one-size-fits-all machines, so it’s important you have FairLifts' expertise on your side to not only identify the perfect helicopter lift for your job, but also to have full access to a network of providers to get you that exact helicopter and get it in the air as fast as possible. That’s the FairLifts advantage. With the ability to lift and place large items anywhere, helicopter lifts are increasingly popular in the construction industry. Supply delivery, placing rooftop units, beams or other heavy units, helicopters easily do it all. Tap into the versatility and power of construction helicopter lifts on your next job. With the ability to carry large loads via a line and a hook, these lifts can be extremely useful in delivering supplies for construction, emergency response, or clearing storm debris and delivering supply caches. These lifts can also assist in utility grid construction or repair. Freight and cargo delivery around the panhandle can be tricky, especially during storm season when maritime and truck options are limited or eliminated. Helicopters can deliver any freight / cargo when traditional methods cannot, plus helicopters can also make deliveries directly instead of going through ports or airports. Helicopters are the Swiss army knife of emergency response, able to fly over flooded areas, inspect damage, deliver supplies and perform search-and-rescue missions. But helicopter lifts are also efficient and effective tools in agriculture, able to apply pesticides or fertilizer with precision. If you need a helicopter for any job, or just have questions about whether or not a helicopter lift would be an efficient, affordable solution to your problem, our experts are available 24/7 to provide expertise, quotes or advice.